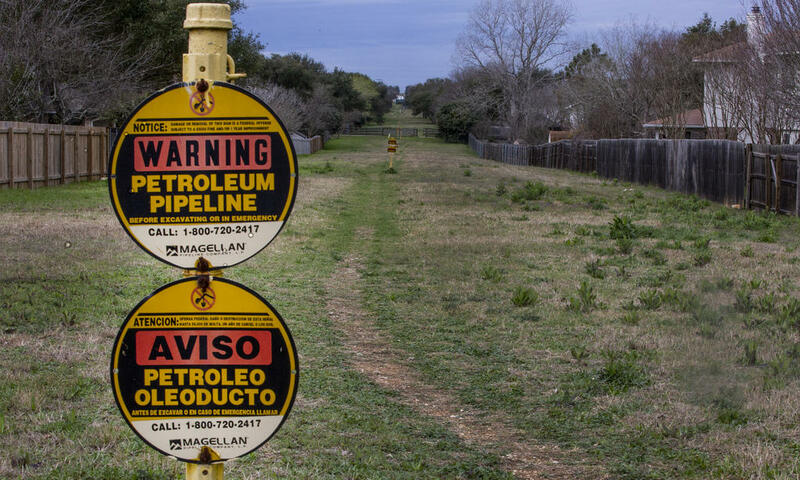 The biggest battles over pipelines in Texas are fought over eminent domain, a company's power to take land for a pipeline. That power is granted to companies because lawmakers believe they play a role in creating necessary infrastructure that is publicly available. “One of the ways I try to explain pipeline systems is to say this: When you turn on your gas stove to cook breakfast in the morning, you are literally turning the last valve in a pipeline system that probably starts out in West Texas or in South Texas,” says James Mann, a lawyer and lobbyist for pipeline companies. "Why should they have the right of eminent domain for the profits of their shareholders?" At the Wimberley meeting, Marilyn and Marvin Zgabay shared a photo of a badly burned 7-year-old girl. It was taken decades ago at their family's ranch in Rosenberg, Texas. 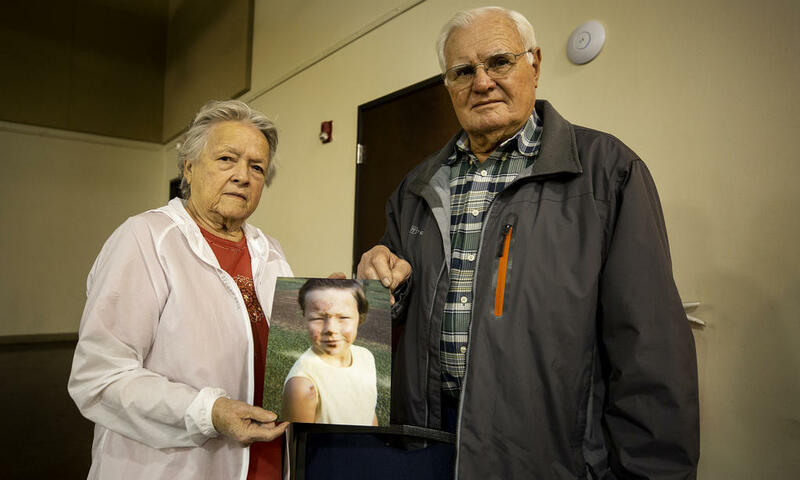 Marilyn and Marvin Zgabay hold an old photo of their daughter, Lauren, who was badly burned when a pipeline exploded under her grandfather's Rosenberg ranch decades ago. The two were separated in the explosion, and when Marilyn's father found Lauren, she was pressed against a barbed-wire fence, but alive. Zgaybay says she opposes the Permian Highway Pipeline because they've "experienced it." The planned line would run near her property and over her son's land in Fredericksburg. “We're still in the blast area,” she says. But, he says, he believes the risk of accidents should be given greater weight in regulation and oversight. “I think a lot of people who don’t live here near the pipeline don’t know it’s here,” Renae Hicks says on a recent cold afternoon in South Austin. He's referring to the Longhorn Pipeline, which runs under what he describes as a “highway of grass” that makes up the right-of-way. Hicks spent part of the '90s fighting this pipeline as a lawyer for landowners. Lesniak did as well, when he worked for the City of Austin. They both say the Longhorn line is a good example of how pipelines change over time. "Then, in the mid-'90s, it switched from being a crude oil line to what’s called a hazardous liquids line,” Hicks says. "[It transported] jet fuel, gasoline, things like that." “Then it switched again to being a crude oil line from West Texas to the Gulf Coast,” he says. He says it shouldn’t require lawsuits to bring that level of oversight to the planning process. "The most obvious problem with pipeline oversight in Texas is they turn the job over to the private pipeline companies and let them choose their route," he says. "There is no control by Texas government with people in Texas having no say at any stage over what route a pipeline can take."